I’ve never been and always have wondered what it looks like! I’m so glad you shared! And a beach library may seem odd-but I love it! It’s a beautiful place. One of my favorite day trips and only an hour away from my home. wow what a great time you’ve had and covered so many prompts so well! Thankful they are protecting the birds. Do they do the same for turtles? I have often wondered how you would know if walking over a bed of turtle eggs. You would never know. Years ago on my blog I posted a video of a turtle at a local playground laying its eggs in the sand while the children played on the equipment. I am sure everyone walked over those eggs when she was finished and never knew they were there. The turtle was a painted turtle that must have come out of the nearby lake. 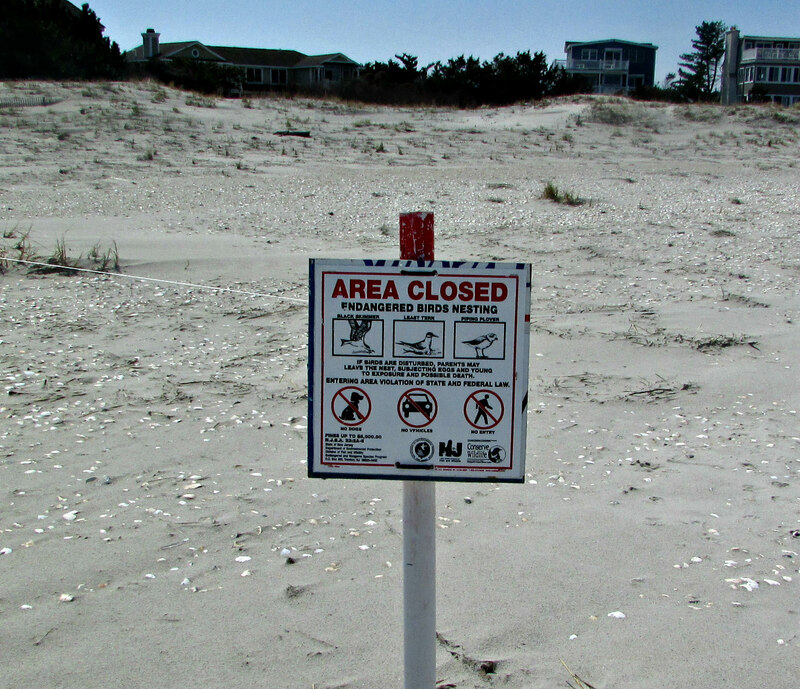 Near the sea, we see turtles, and if they are crossing the road we will stop and take them to the other side. Some still become casualties of the car wheels. It is hard to see them until you are right on top of them. There are turtle crossing signs in ocean and bay areas. Thanks for the great question and comment. I loved that little library. So did I. I think in season it is probably well-stocked as people read and exchange their books. The sunny day is what got my attention. 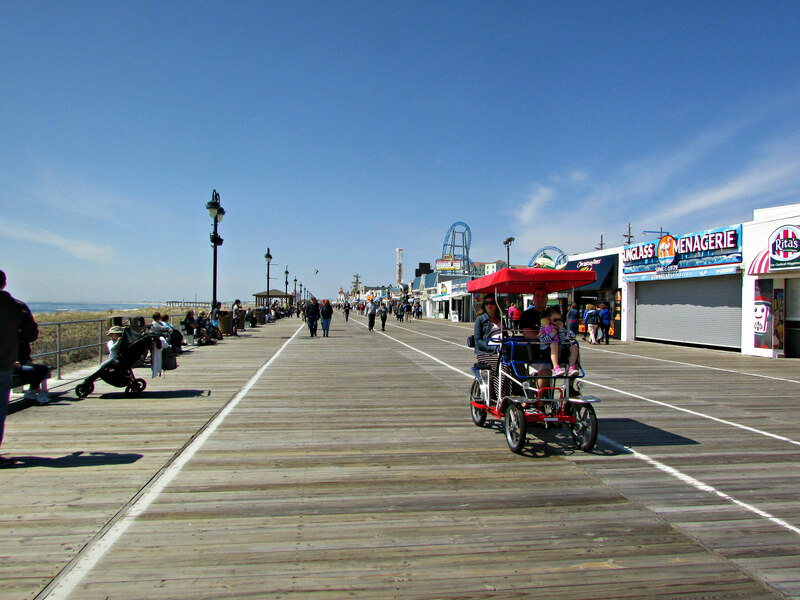 Seems like the broadwalk had a lot of empty spaces- not enough shoobies maybe. Was it cold? Does it snow there ever, I ask because it is by the seaside? 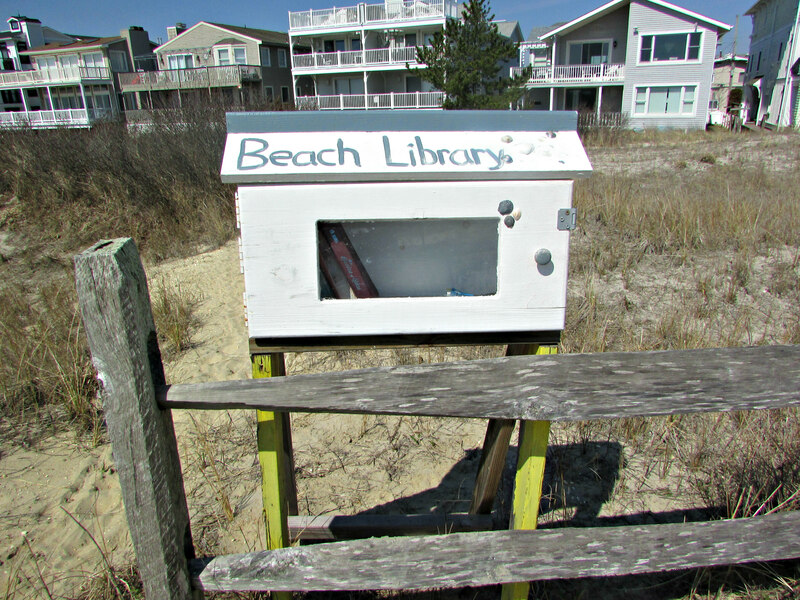 Love the photo of the Beach Library because every beach needs books! Thanks for hosting the challenge. Thank you, Jo for this little window into your world. Thanks for looking through that window! 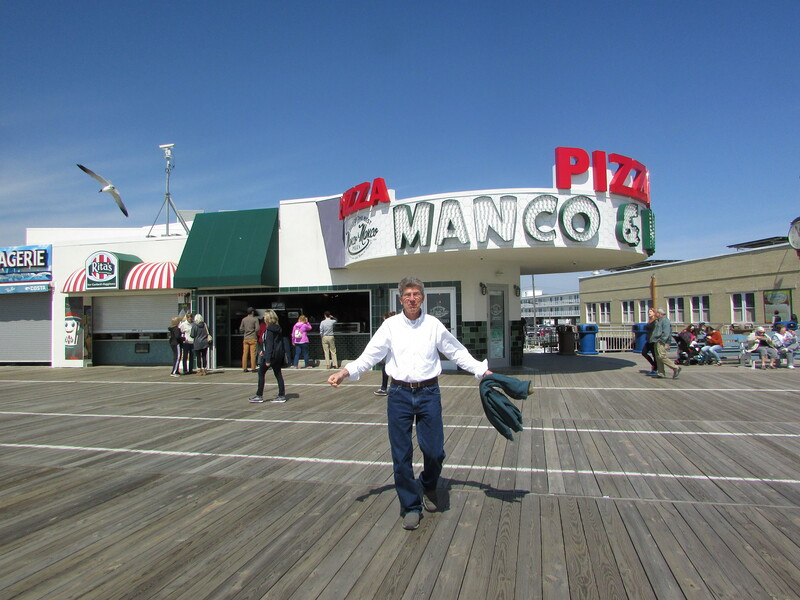 Many thanks for giving me a marvelous memory of the east coast, especially the gorgeous boardwalk. 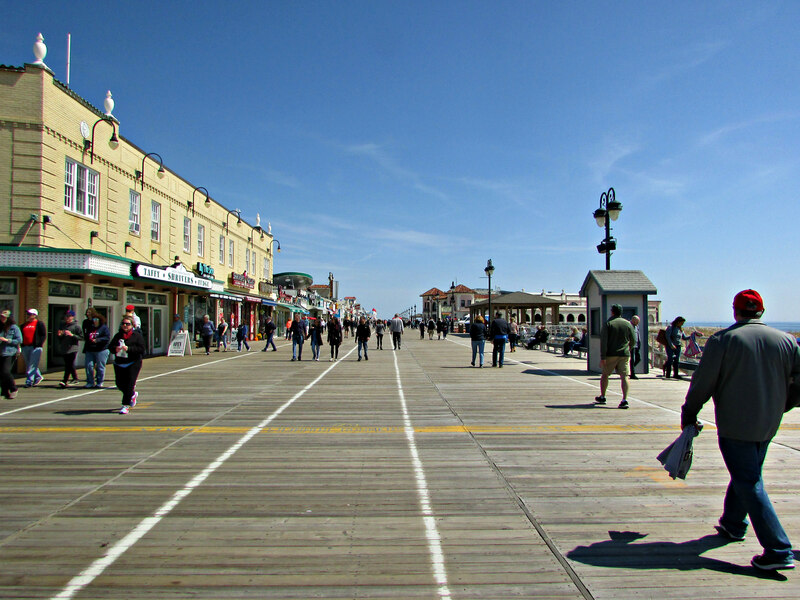 It brought back great memories of Ocean Grove & Asbury Park, NJ. Love the photo of the beach library .. hope you enjoyed the pizza! Thanks so much in return. Oh yes, we will drive the hour and a bit even in the wintertime to have a few slices of that delicious pizza. I thought the beach library really clever. I’m sure for someone who wants to read and forgot their book it is much appreciated.